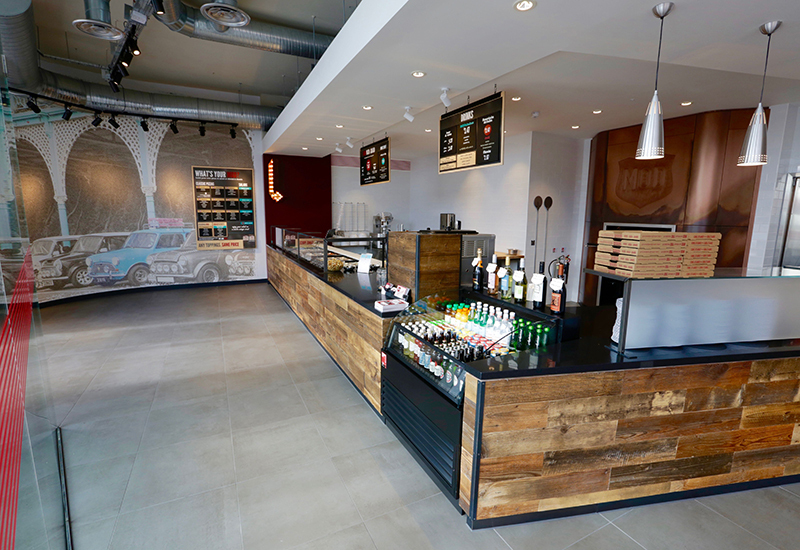 American fast casual pizza chain MOD will unveil its flagship site in Leicester Square, London this week and it has a Dorset-based catering equipment supplier to thank for the workhouse oven at the heart of its kitchen. 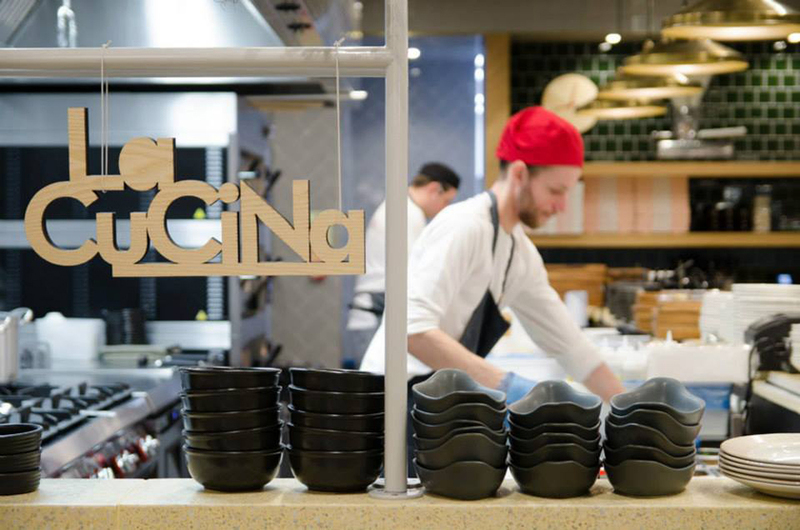 Gozney Ovens, which is located in Christchurch, has supplied ovens to the initial five restaurants that MOD has opened in the UK after it opted to source the most important equipment for its kitchen from a local provider. 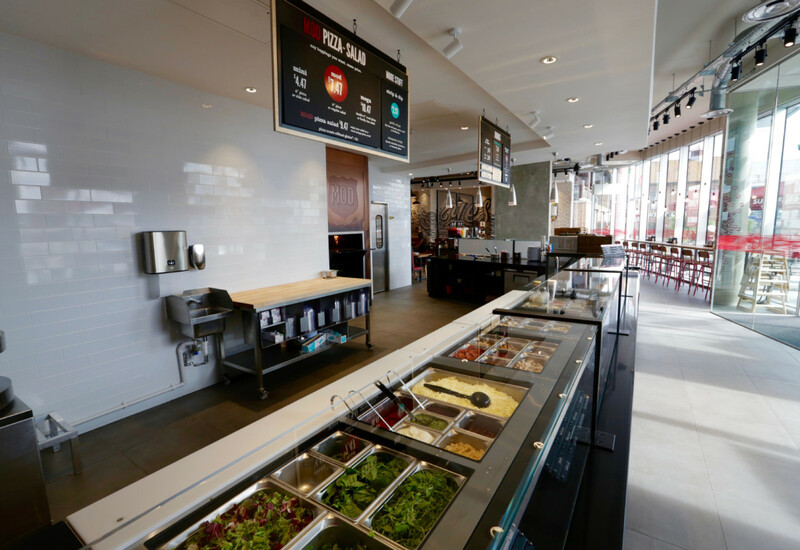 Although the kitchen model and equipment lay-out is styled on the US business, it was more practical for MOD, which is backed by Carphone Warehouse enterpreneur Sir Charles Dunstone, to find its own supplier of ovens for the UK stores. “The pizza ovens they use in the US are made in California and so it was immediately apparent that the cost of importing and CE approval would make it a challenge for us to use the same ones,” MOD UK boss John Nelson told FEJ. 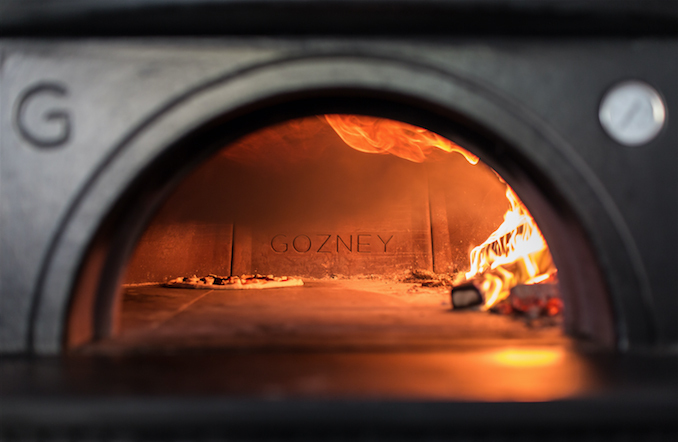 Nelson scoured drew up a shortlist of eight pizza oven suppliers before selecting Gozney Ovens, which specialises in wood-fired, gas and combination stone hearthed ovens. “It was important for me to find someone who knew what they were talking about and could do things at pace given our plans for expansion. When you are a new company in the market you want flexibility from a supplier and Gozney was able to offer that,” said Nelson. 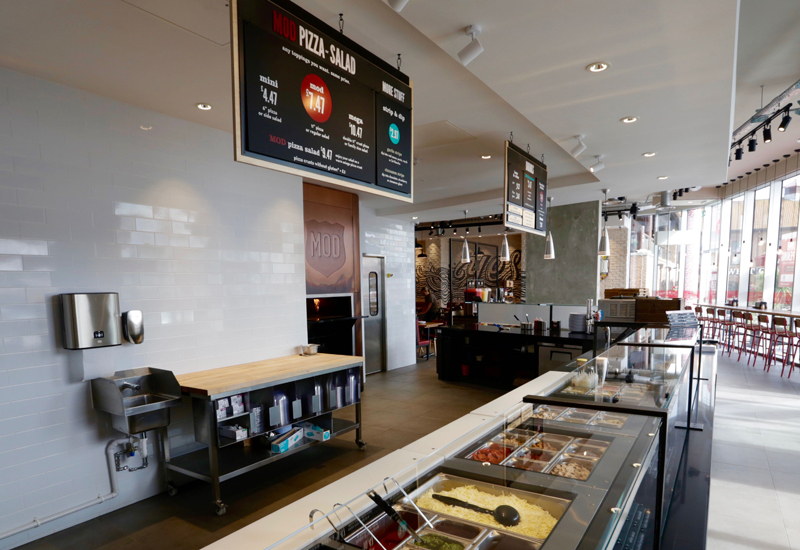 The oven is the heartbeat of MOD’s kitchen, with the chain aiming to cook every pizza from scratch in less than four minutes. The MOD team trialled and tested the Gozney oven range before selecting a custom version of the Barbican 1900, currently the largest unit that it provides. Gozney’s Barbican 1900 has a 1900mm internal cooking diameter or 15 x 12-inch pizza capacity. It is capable of cooking up to 600 pizzas an hour. 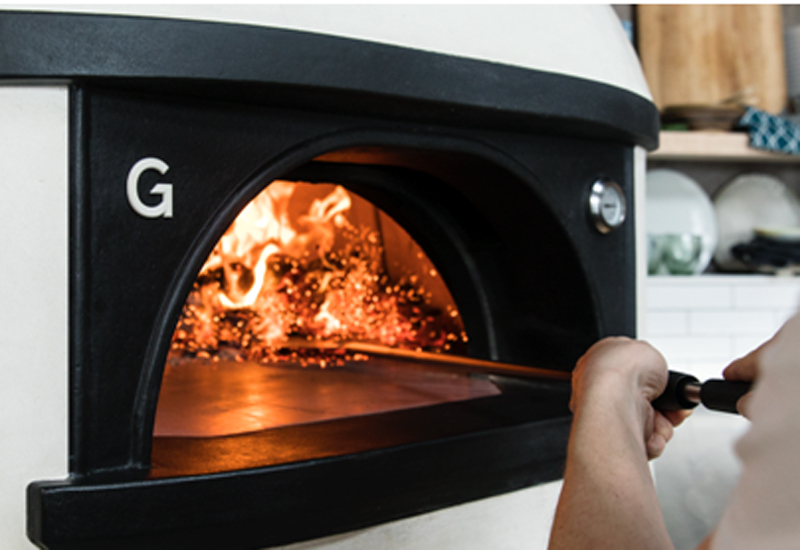 The Barbican range, which is available in both freestanding and enclosed formats, is designed as a multi-use oven, capable of cooking a diverse range of large and small dishes, plus high temperature pizza, while running on a choice of wood, gas or a combination of the two. For further insight to MOD’s plans for the UK market, read our special report in the December issue of FEJ, available as a free download HERE.